As an ISO-9001:2008-certified contract manufacturer, Qualicoat has the experience, expertise and innovation needed to make your products even better. 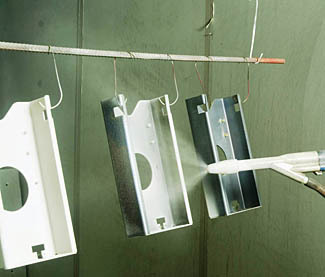 Qualicoat's coating capabilities are designed to meet a broad range of functional and aesthetic requirements of our customers' customers. We constantly research, test and offer cutting-edge coatings based on technological innovations by manufacturers around the world. To discuss the latest coatings that can make your product even better than envisioned, please contact us at (585) 293-2650 or info@qualicoat.com.